What will they think of next. 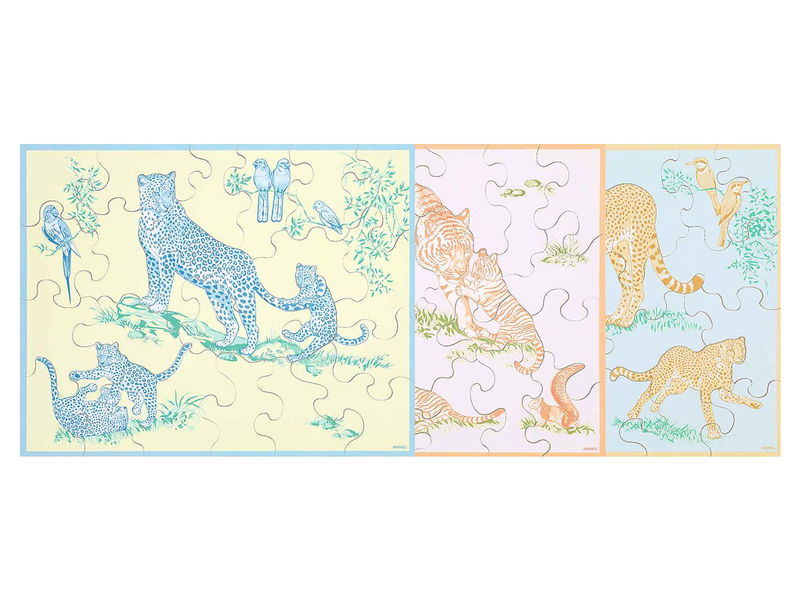 In the case of Hermès, the French luxury house is now offering the Petits Felins Puzzles, the perfect gift for the young ones, though no one is going to stop you from indulging yourself either. 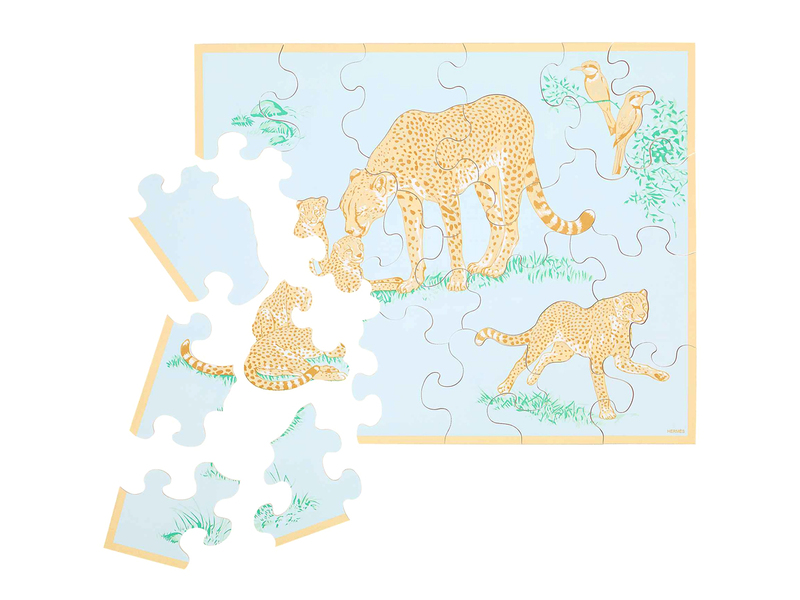 Consisting of 3 jigsaw puzzles made from poplar wood and paper featuring illustrations by Robert Dallet’s artworks that have been commissioned by Hermès as prints on their signature silk scarves. Each 24-piece puzzle measures 30 cm by 24 cm and is recommended for children aged 3 and up, making it a great weekend afternoon bonding activity for parent and child. Available across all Hermès boutiques in Singapore (Liat Towers, Marina Bay Sands and Takashimaya Shopping Centre), the Petits Felins Puzzles is priced at SGD420, which isn’t exactly the cheapest baby gift around, but then it’s Hermès. ‘Nuff said.